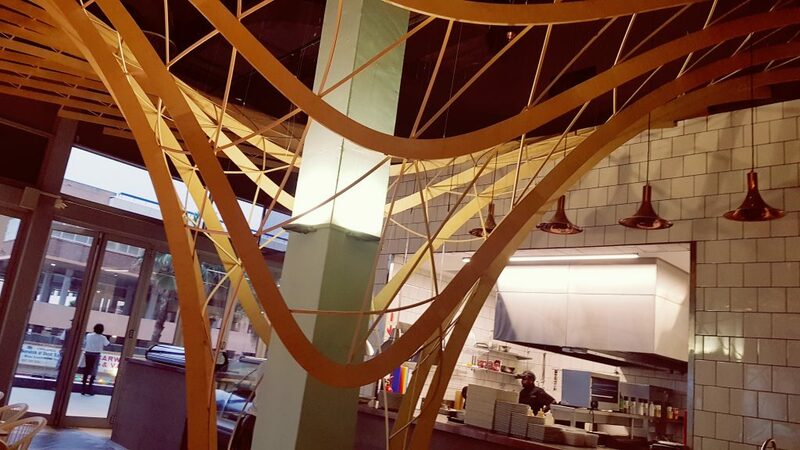 Fish & Wine is a brand new seafood restaurant in The Pearls. The interior space is expansive, the terrace section is expansive. The decor is cool and contemporary. Clean and lean, in fact. Loved the ship’s hull suspended from the ceiling. Frank Chemaly, who was dining with me, joked that it made him feel like Jonah, who was swallowed by a whale to prevent him drowning. A bible parable, sweetie. Clearly in joking mood, he also quipped that the & part of Fish & Wine looked like in “S”, reading Fish Swine. We all laughed. Fish & Wine is linked to Willoughby & Co, popular seafood restaurants in Hyde Park and Cape Town. For one brief, heady moment I thought it would be a cut above the other restaurants in The Pearls, distinguishable only by their mediocrity. Apart from Cafe La Plage that is, which offers some interesting flavours – and gold plastic toilets and gilded thrones in the lounge area. So, pretty memorable. But it was not to be with Fish & Wine. Even though it came recommended. Even though it had rave reviews on its Facebook page. 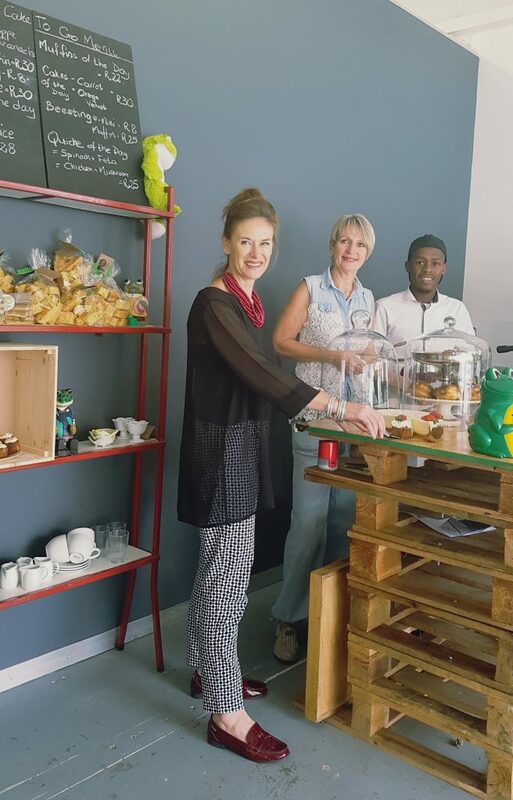 From left, Claire Allan, Jenny Clarke and barista Siyanda Sibulawa. Her prize frog is to the right of the picture. It doubles as the tip jar. 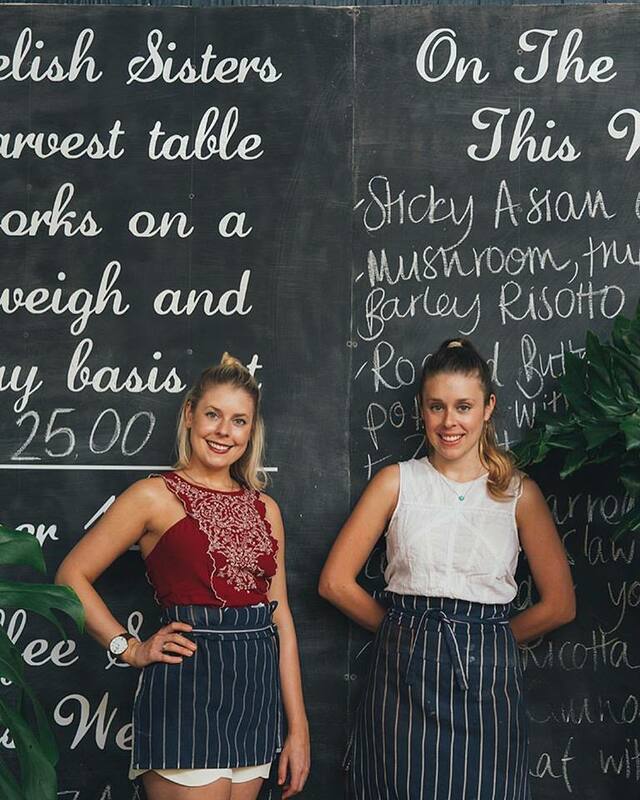 The Fat Frog Kitchen and Coffee Shop in Windermere road has been open for only two days when I pop in to chat to Jenny Clarke and Claire Allan about their new venture. For Jenny, The Bee-Sting Cake Queen, and Claire, who offers fresh and frozen takeaway meals, it’s a brave and bold move. Previously Jenny had operated out of a tiny kitchen at Antique Cafe, Claire from home. Now they were in the big league with spacious commercial premises, which include a large kitchen and a charmingly rustic coffee shop. Here customers can sip their coffee while enjoying Jenny’s delicious baked goods. Jenny and Claire have such a large following that our interview is constantly interrupted by visitors. It’s all air kisses, oohing and aahing. They may be the newest kid on the block, but the word is out. Jenny and Claire are open for business. 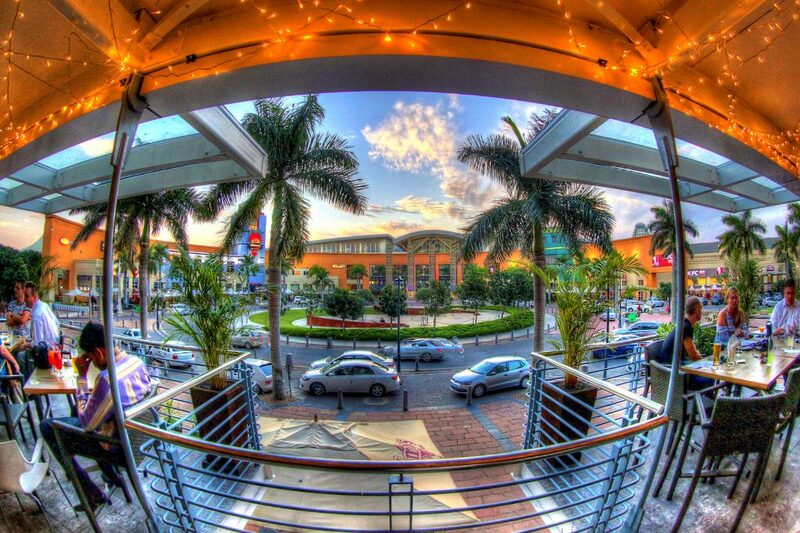 A bird-eye view from the Greedy Buddha’s terrace over Palm Boulevard. I must have done something right in my previous life to get invited back to the Greedy Buddha (thank you Joanne Hayes) to try a 7-course gourmet tasting menu. It was a very interesting evening with truly good food, but the conversation was a bit surreal and not at all what I expected. Let me set the scene…. Here are the five finalists for this year’s Shisa Nyama Awards, a competition which aims to find the best in shisa nyama eating. Meet the judges and the finalists. I love that DStv ad. The one where the soccer supporter sits in front of his TV patiently waiting for his friends to join him in watching a game. Instead Tiny and Bumba drag him off to a shisa nyama where they partake of huge quantities of champagne and endless platters of meat – and leave him to pay the humungous bill. 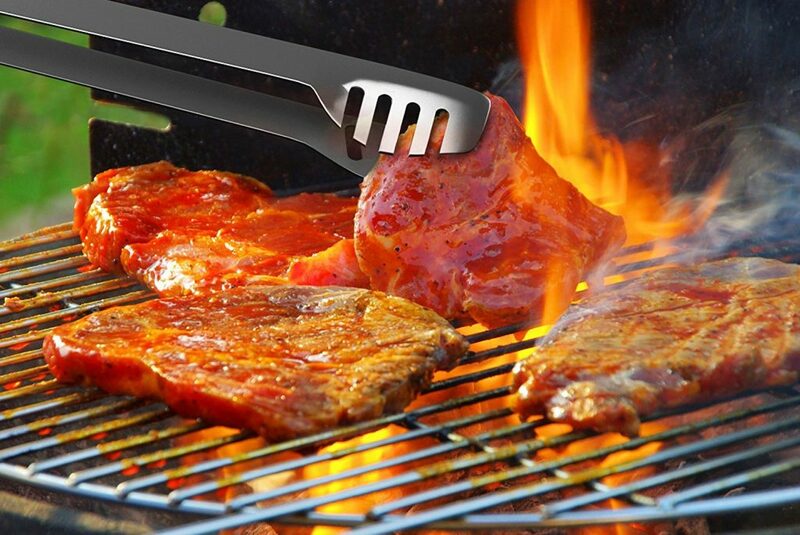 Officially, shisa nyama eating has come of age. No longer confined to townships or township residents, the shisa nyama style of hospitality is now enjoyed by all communities. It’s all about the meat, the braaiing, the expensive booze, the live music, the vibe and the warm welcome. To acknowledge the significant role shisa nyama venues are playing in the hospitality and tourist industries, Michelle Lewis, owner of Have Your Say, a marketing and public relations company, set up the Shisa Nyama Awards™ in 2016. Her aim was to find Durban’s best shisa nyama venues and publicly acknowledge them. Another aim was to offer the public a list of such eating venues in Durban. In doing this she was sailing in unchartered waters. Up to this point there was no list of venues available and no previous awards for excellence. The winner of last year‘s award was won by Café Skyzer, with One and Only coming in at second and Sbu’s Lounge coming third. The Lifetime Achievement Award went to Max’s Lifestyle VIP Lounge and the People’s Choice Award was won by Eyadini. As its editor admits, COOKED in South Africa is not a traditional recipe book. 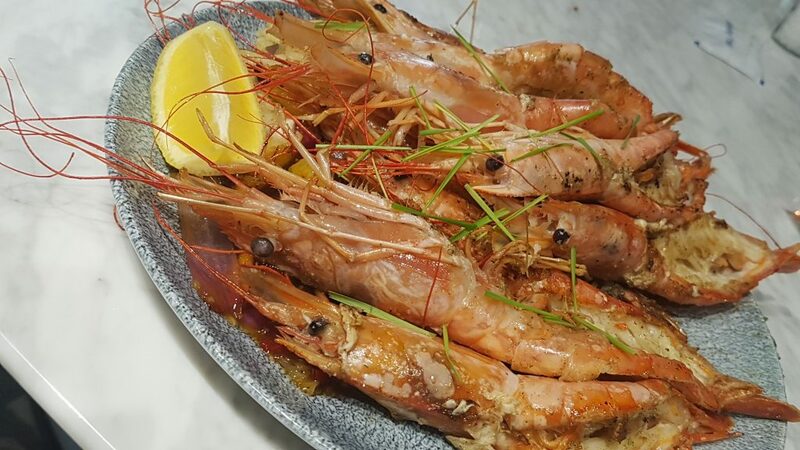 Instead it documents the early food memories and food journeys of a range of foodies from the Cape, KZN and Gauteng, with recipes almost a secondary objective. And, while well-established chefs have been interviewed, the stories of artisanal bakers, food truckers, pastry chefs, caterers and market stall holders are also told. I like that as often the most interesting stories come from those a little further down in the food chain. And I like the eclectic collection recipes too, as they represent the personal favourites of each contributor. Something close to their hearts – or stomachs! I bought the book a few months back on impulse even though it was R500. Partly because I liked the KZN contributions and the stunning photography, and partly because it’s a fund-raising project initiated by Wish Upon A Star, a charity devoted to helping disadvantaged children living with disabilities. What better cause could there be? Inevitably, KZN has the smallest section, but what a colourful bunch of foodies they are.